If you are a regular reader of my blog you will realize that I have never reviewed any BB or CC cream on my blog yet. I will be honest with you guys, all this time whichever brand’s cream I tried I didn’t like it much. I didn’t wanted to malign any brand’s image that’s why never wrote because for the same creams I could find plenty of positive reviews across the internet which made me wonder “How and Why?” As it is said that life will find a way similarly Spinz BB Cream find its way to my vanity. 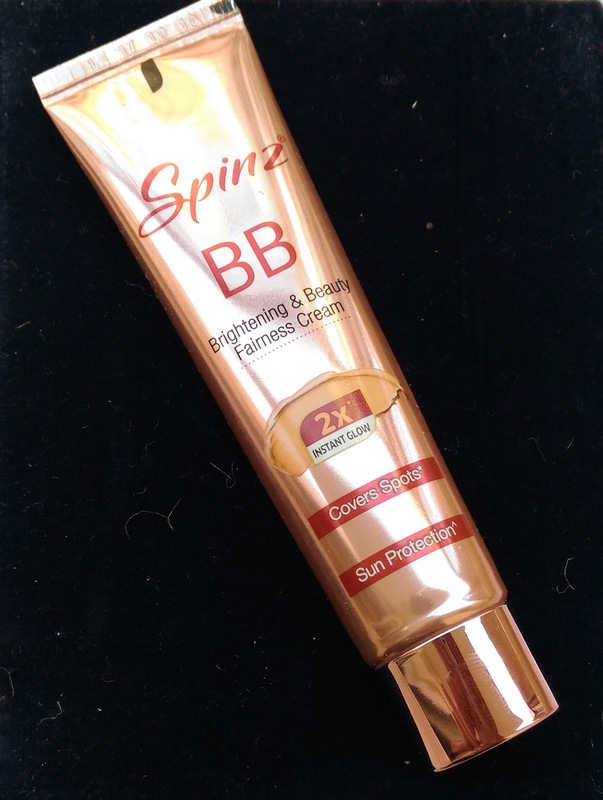 Today I will review Spinz BB Brightening And Beauty Fairness Cream. This cream was sent to me by PR and the cover box got crumbled in transit that’s why I couldn’t click the pictures of the cardboard box. But I feel that the quality of box can be improved for sure. The tube looks stylish with its copper-golden blend sort of color and bold outlook. I like keeping it on my vanity table. The BB creams that I have used before were bit difficult to apply as I felt they weren’t that smooth. But Spinz BB Cream, oh my god is so easy to apply and has silky-smooth finish like feather touch. Because I live in Delhi and you know that January is the month of dry-chilling winters so I normally apply my daily moisturizer first and after waiting for 15 min I apply Spinz BB Brightening and Beauty Fairness Cream. Spinz BB cream gives me light coverage and has become my favorite for simple makeup look. 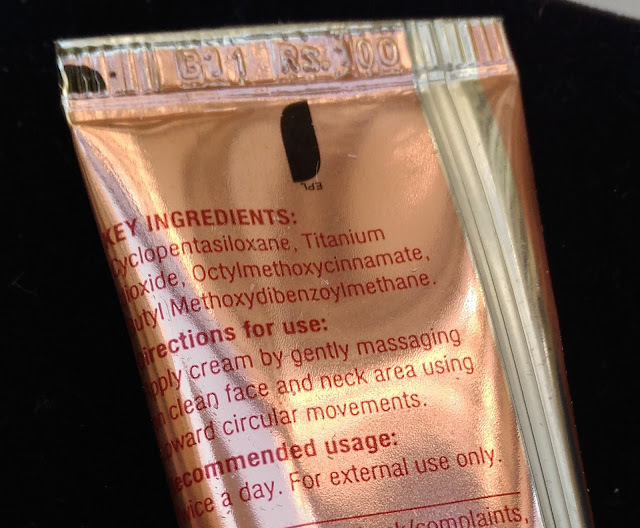 What I loved about this cream is that it suits my skin tone (mine is between wheatish – fair). I need just one or two drops for one time usage and my skin tone looks visibly clear and flawless after its application. It won’t hide acne scars or blemishes but dark spots completely vanish after using Spinz BB cream. My face stays matt for good 8-9 hours which is another plus point. You will be shocked to hear the price of Spinz BB Cream which is Rs. 100 for 30gm. I will strongly recommend Spinz BB Brightening And Beauty Fairness Cream for any one who wants to invest in good quality, budgeted BB cream.